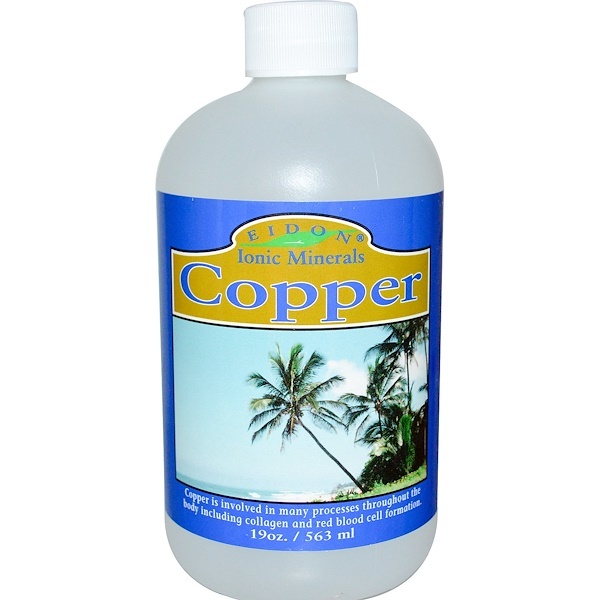 Copper is involved in many processes throughout the body including collagen and red blood cell formation. 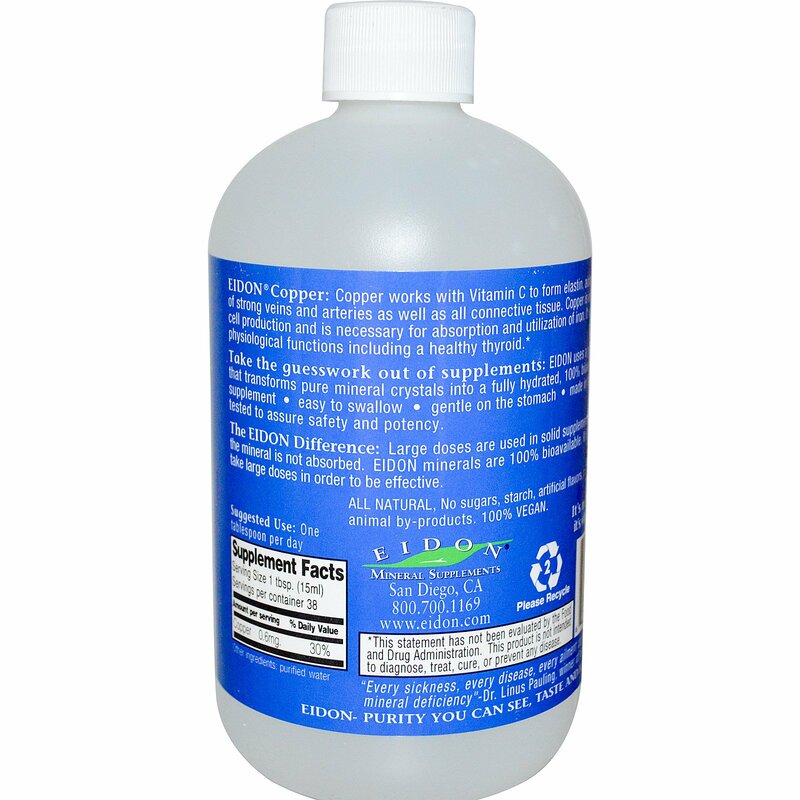 Eidon Copper: Copper works with Vitamin C to form elastin, aiding in the formation of strong veins and arteries as well as all connective tissue. Copper is involved in red blood cell production and is necessary for absorption and utilization of iron. It is required for many physiological functions including a healthy thyroid. Take the guesswork out of supplements: Eidon uses a proprietary process that transforms pure mineral crystals into a fully hydrated, 100% bioavailable liquid ionic supplement • easy to swallow • gentle on the stomach • made in the USA and quality tested to assure safety and potency. The Eidon Difference: Large doses are used in solid supplements because most of the mineral is not absorbed. Eidon minerals are 100% bioavailable. It is not necessary to take large doses in order to be effective.